We always wondered why many Dentists choose to hire one of those “dentist only” website builder companies. It was, and is our opinion, that if a company only deals with one industry how can they make you stand out from your competition?. Why would they give you a better website than they gave the previous dentist or the next one in line? 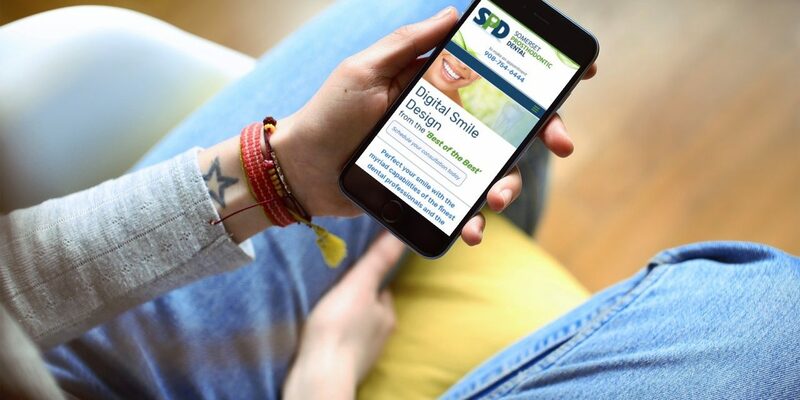 Because of that we were extremely excited to be given the opportunity to partner with the great team at Somerset Prosthodontic Dental and provide them with custom services including a new logo, a new mobile and seo-friendly website which not only educates the public but reduces staff work by presenting answers to many frequently asked questions directly on the website. So if you are in the market for custom website design in New Jersey or the Lehigh Valley, need a logo designed or your website needs copywriting services reach out to us today and we will be glad to help .